It looks like Delaware will be the first state to launch sports betting in this post-PASPA era. Nevada has had single-game wagering for years, but Delaware marks the first case of an outside state being able to feature wagering options. Governor John Carney broke the news that Delaware Park, Dover Downs Hotel & Casino Harrington Raceway & Casino will offer single-game wagering options beginning June 5. Carney stated that Delaware is prepared to launch on both legal and regulatory standpoints. He is optimistic that the new industry will bring tourism to the state and help increase revenue. This has been a long time coming for Delaware, as they passed a law back in 2009 that would allow sports betting on their terms. Delaware was one of the four states exempt from the Professional and Amateur Sports Protection Act, but they could never introduce any new types of wagering under the ban. Now that the law has been repealed, Delaware was finally able to put its ambitious legislation in motion. It is ironic that Delaware is able to launch sports gambling before New Jersey, the state that started the whole anti-PASPA movement. The Delaware Lottery put out a how-to guide on sports betting to inform residents of the new market. Secretary of the Delaware Department of Finance Rick Geisenberger reported that they have worked with the staff at these casino locations to prepare them for sports betting options. 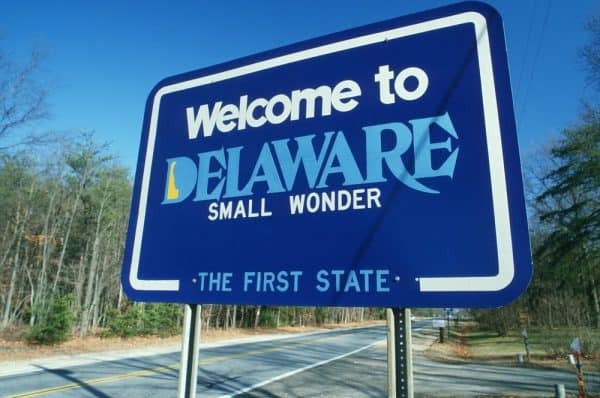 The Delaware Lottery, which is responsible for administering betting in the state, will continue to be used as an information source regarding updates and news with local sports gambling. Delaware is planning to offer almost every betting option under the sun. Residents and visitors will be able to place legal wagers on football, baseball, basketball, soccer, golf, hockey and auto racing. There will be no wagers on college football or basketball. As of now, the state has not released any new information regarding when and if they will feature college betting lines. The Delaware Lottery website specifically outlines a ban on collegiate events involving Delaware schools. This quick turnaround is good news for the state in terms of revenue. The Stanley Cup and NBA Finals will both be happening at the start of betting availability, leaving ample opportunity for patrons. There will only be brick-and-mortar sports gambling options at this point. No online or mobile betting plans have been introduced yet. Technically, online betting is still not allowed per the Federal Wire Act. However, mobile betting will likely develop quickly given the potential success of this new market.